This post is kindly brought to you by PBTeen. Thank you for supporting brands that make The Bella Insider possible! Let’s be honest, friends. Is there really anything better than staying in? After working hard and being out all day, one of my favorite things to do is get cozy in my favorite jammies and watch a movie in the comfort of my room. 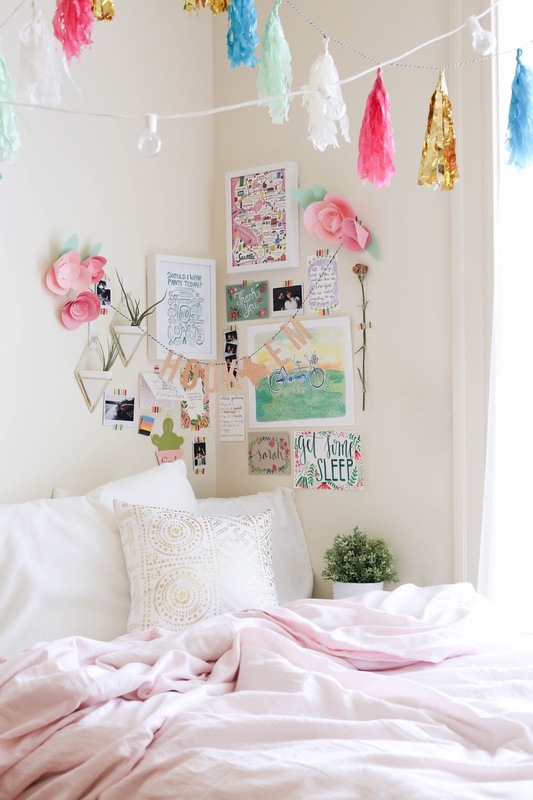 I’ve partnered with PBTeen to share my favorite 3 tips for a cozy DIY movie night of your own. More below! Besides my bed, my desk is easily the most important area of my college dorm room. It's where I do my homework, put on my makeup, and write down alllll the things on my to-do list for the day. 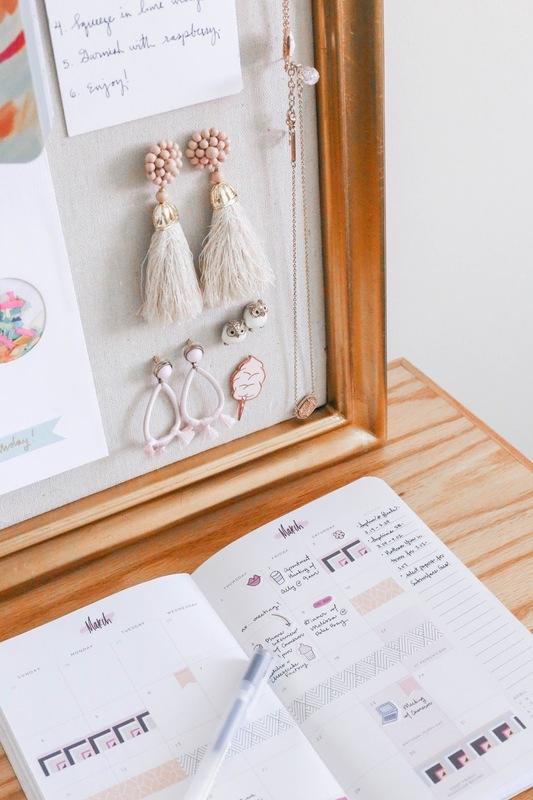 My space around me greatly affects my productivity, so it has to be neat, tidy, and happy, too! 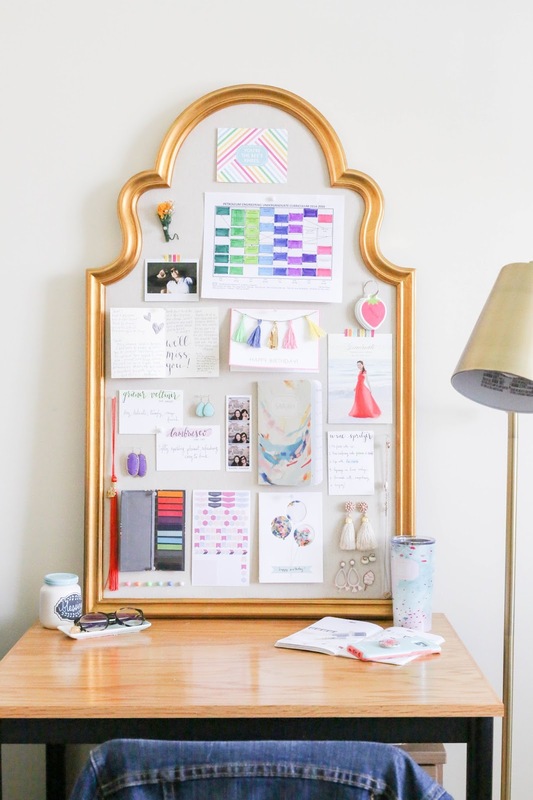 With that in mind, this Arch Pinboard in Gold helps me keep my favorite things at hand and showcases fun things to look at while I work. 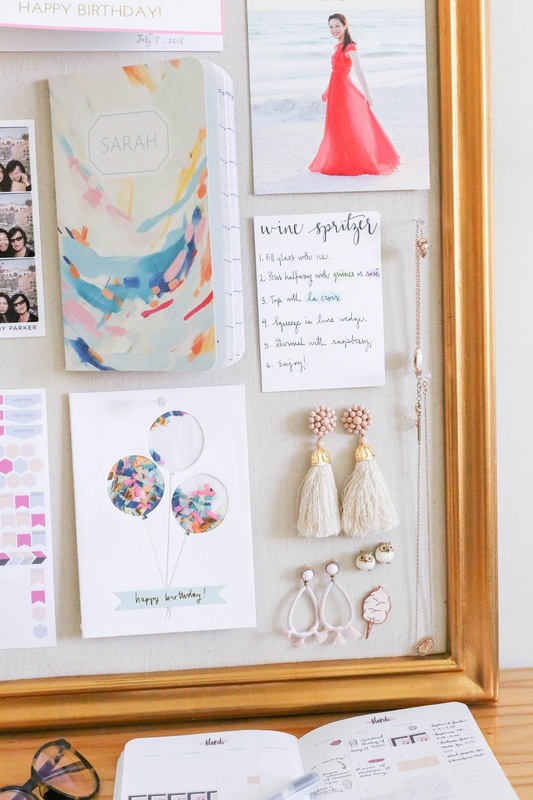 The most obvious things to put on a pinboard, of course! I'm all about snail mail, so I love showing off some of my favorite colorful card designs on my board. I also enjoy keeping around some of my favorite pictures to look back on old memories while I work. My engineering department offers a flowchart of our degree plan, and I love having a physical copy around to easily plan out my semester schedules and track my progress for graduation. Also, for something not as "exciting" as the other things, why not make it colorful?! Fun fact: I love planner items. Stickers, washi tape, page markers, you name it. 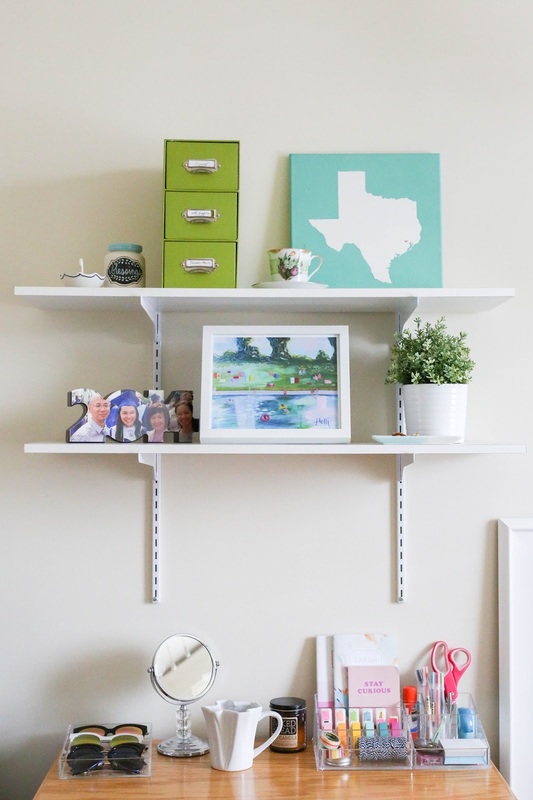 I showcase some of my most-used items on my pinboard, because they're equally pretty as they are functional. Ever seen those flashcard sets with a ring to hold the cards together? Hanging a current flashcard set up on my board helps me easily see where it is to work at my desk. No excuses to not study here! 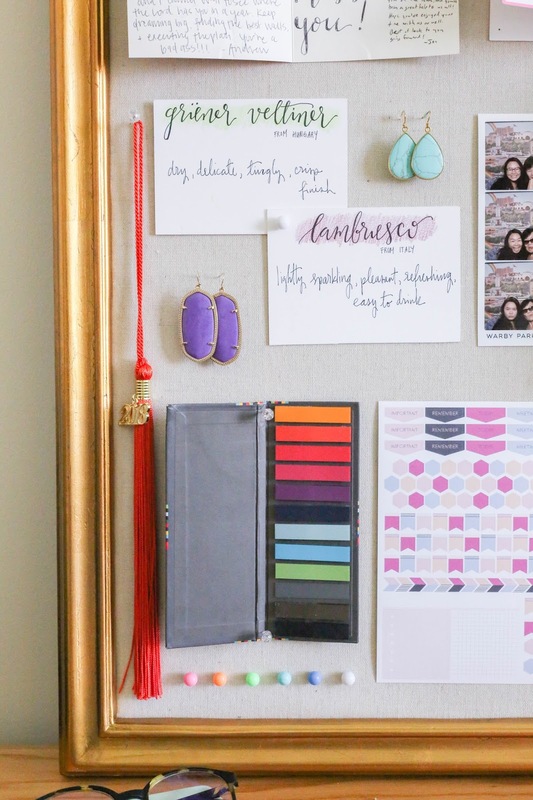 I also found that my pinboard as a great way to keep my favorite jewelry pieces at hand. 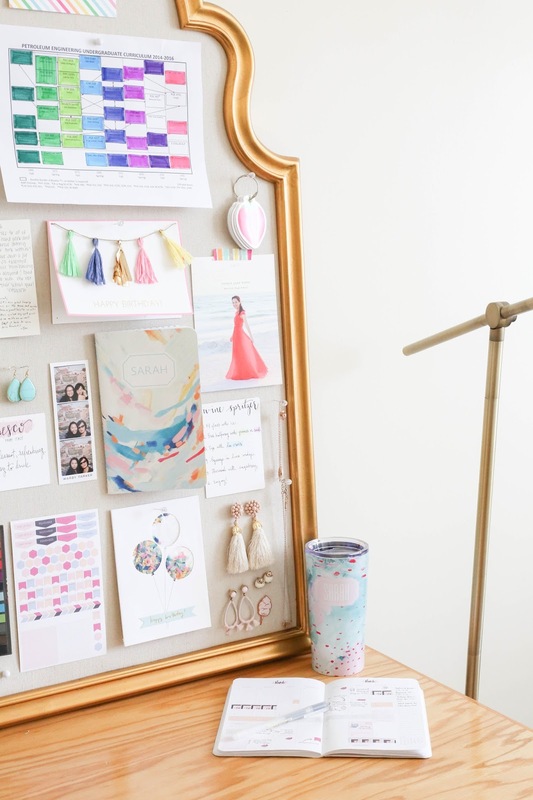 Since my desk doubles as a vanity, I love that I can easily reach for my most-worn necklaces and earrings before heading out. Also, just a few helpful pointers! Many dorms don't allow making holes in the walls or even certain kinds of tape on the walls, so consider using temporary hooks (I love these hooks!) or leaning items on shelves and desks. These are just a few of the things that I keep on my board, but I’m curious: is there anything special you keep on yours? 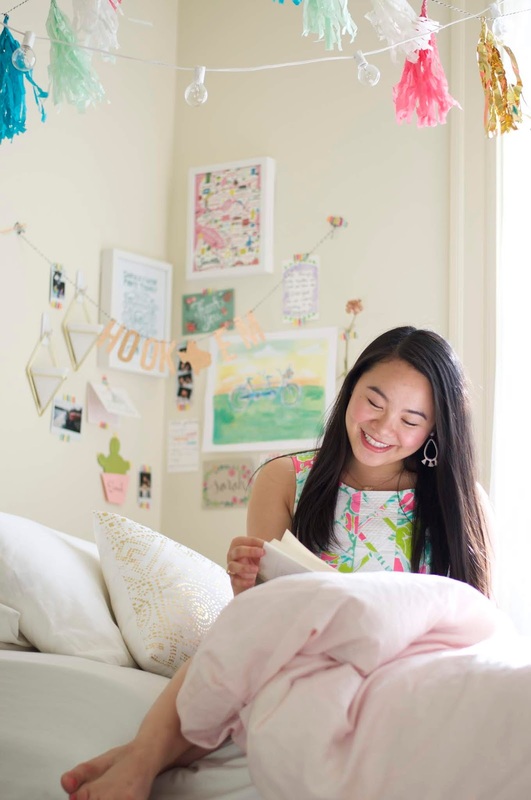 Also, if you're moving into a college dorm room soon, what's one thing you're excited about for your room? To think #thebellainsiderdorm is turning four years old is a wild idea. 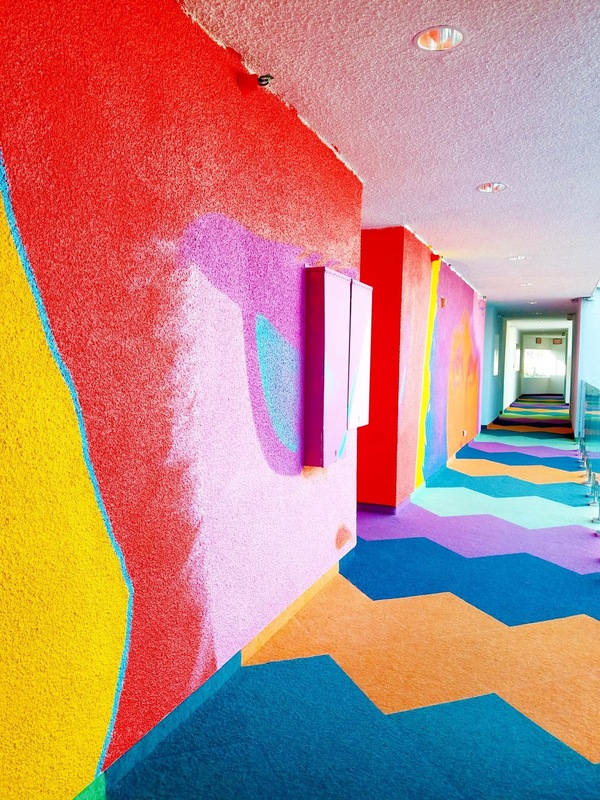 My room undergoes changes every year, but one thing has remained the same: lots of color! As I've grown older, my personal style has changed. Things are still mighty colorful around here, but I'm inspired by soft tones, greenery, and imperfection. 1. Mix different textures and bold patterns. 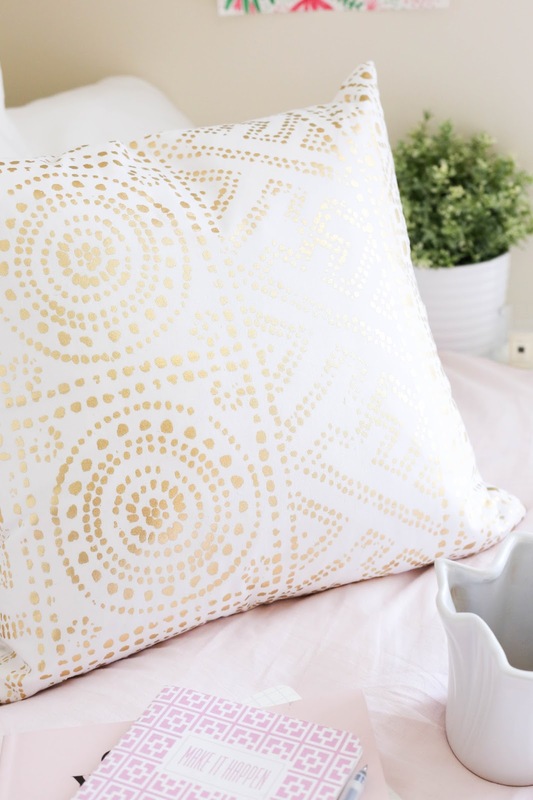 This Metallic Printed Pillow Cover is such a fun pattern and I love the way it shines in the light when I open up my windows. 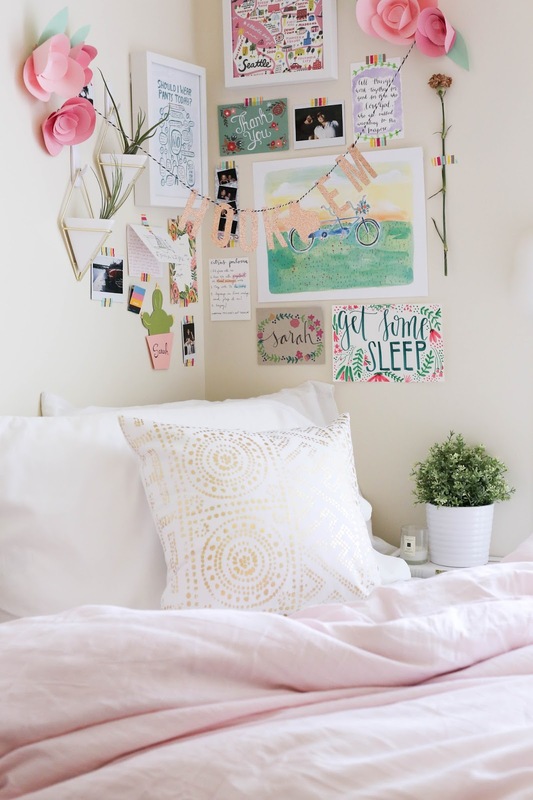 I wanted to keep the colors in my room light pink for my room to be feminine and soft, so I love my Solid Blush Pink Super Soft Organic Duvet and Sham with my Classic Organic Sheet Set. If you want to kick it up a notch, go with a bold duvet cover like this Zadey Patchwork Quilt + Sham or even a patterned rug like this Coastal Boho Rug or Fluffy Fabulous Rug. 2. Incorporate spots of greenery. 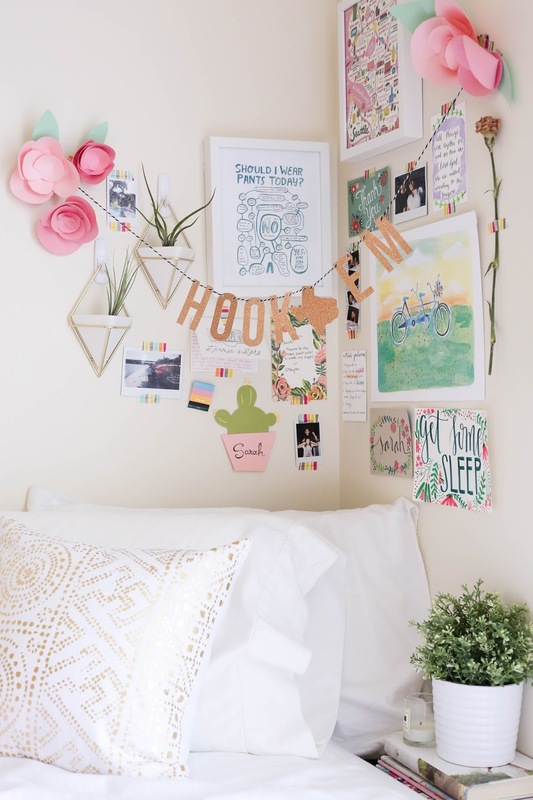 Another way to easily incorporate Boho style in a room is by adding some of your favorite plants. The most natural answer for a dorm plant are succulents, because they're low-maintenance, but I love air plants even more! They don't require any soil, so they're even easier to maintain than a succulent, and not to mention...super cute! 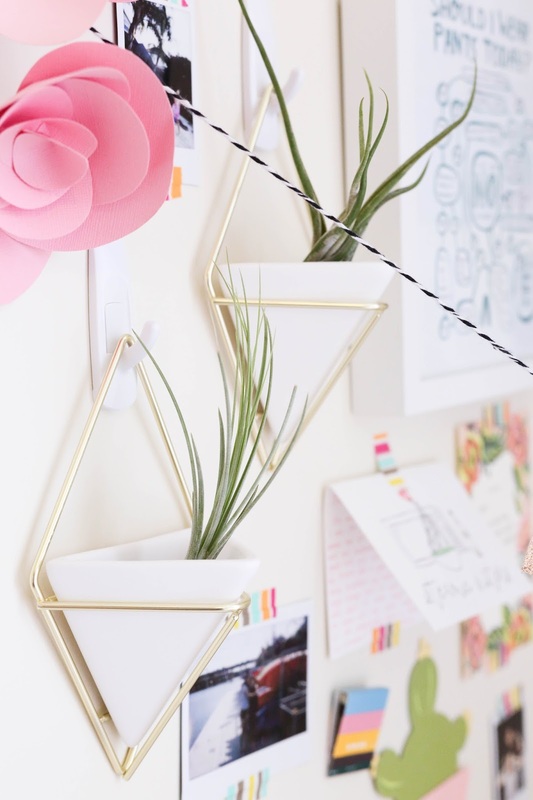 These Triangle Wall Plant Holders are great for air plants and super easy to hang with the help of a few hooks. I also recommend dried flowers, because they're a beautiful way to keep your favorite memories. 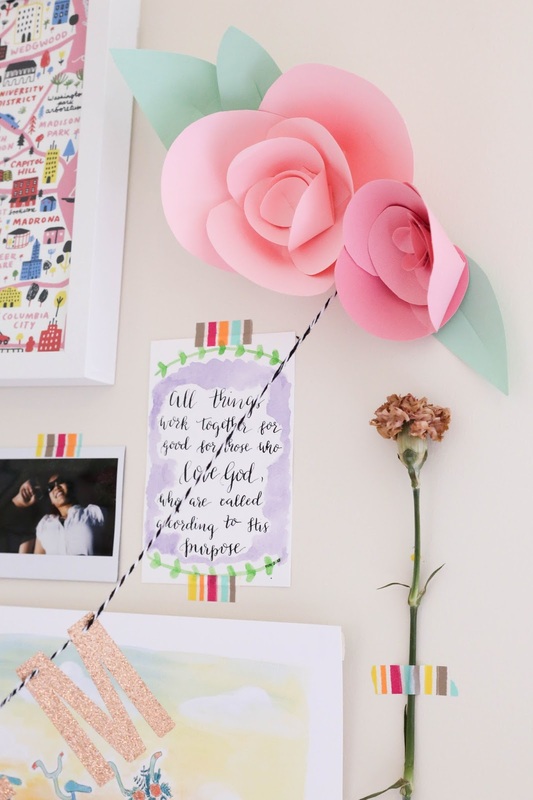 If you're into DIYs like me, paper flowers are also a fun addition. 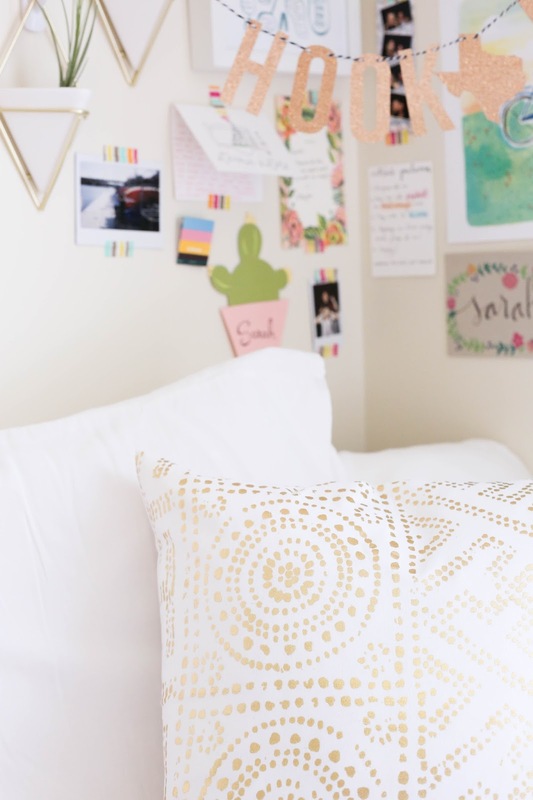 I love the way gold plays with the typical jewel tones of modern Boho style, so I decided to add in a few touches of my own like this DIY gold letter garland along with the Metallic Printed Pillow Cover. 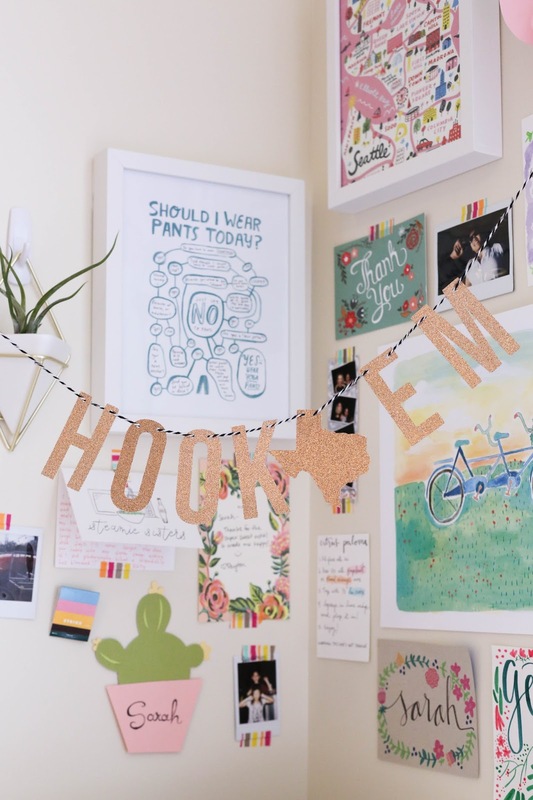 I'm a sucker for any kind of garland, but a letter one is simple to make and an easy way to show off your favorite phrase or even use as a last-minute photo prop with friends! 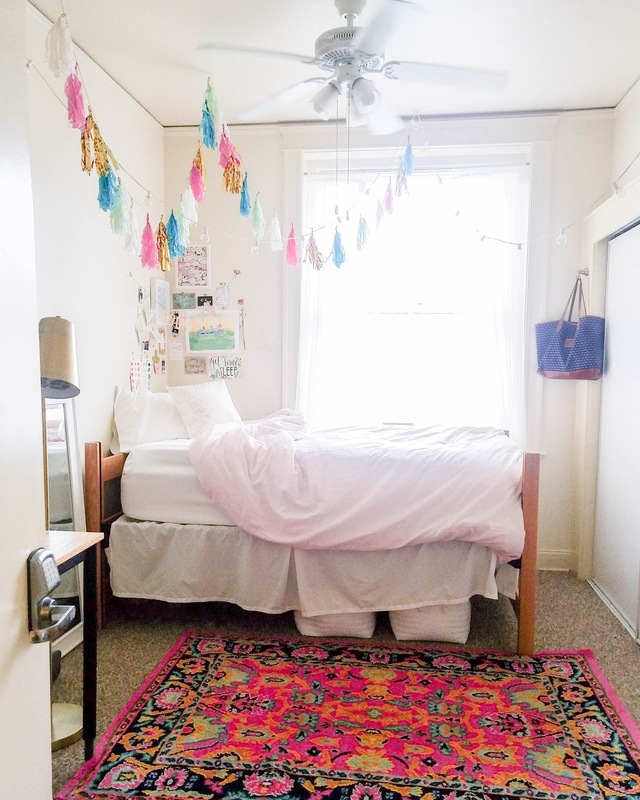 Giving myself a room refresh was exactly what I needed to finish off my school year. This wall will be constantly changing until the school year ends, so be sure to come back and see its progress! Keep scrolling to see some other Bella Insider-approved Boho favorites. Happy National Margarita Day, friends! Yes, February 22nd, #NationalMargaritaDay. It's a real thing! 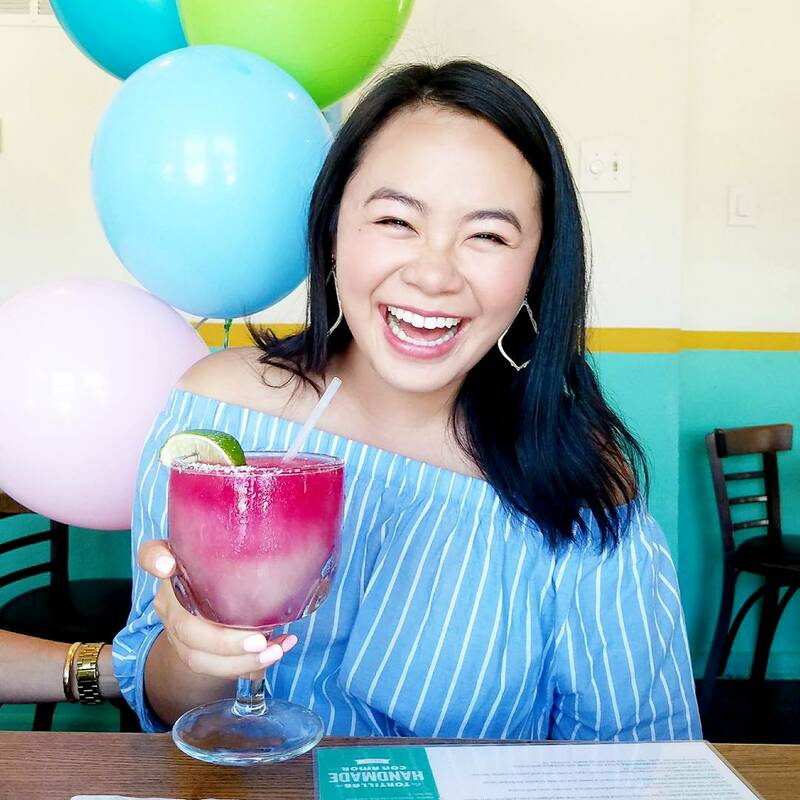 If you live in Austin or you've ever visited this city, you know margaritas (especially the frozen kind!) are no joke. Have a taco in hand, a margarita in the other, and you're livin' like a local. Margaritas are my absolute favorite, and I've been scouring the city for the best deals in town to share with you fellow margarita lovers. Austin friends, get ready to celebrate! Welcome back, friends! Summer is no doubt my favorite time of the year, and while the season is ending soon, I'm eager to share every bit of fun that happened over the last few months. During the summer season, there's usually the occasional opportunity to travel, and this year, I lucked out with the chance to take a quick trip to Venice, California. The Kinney Venice Beach kindly hosted my stay, and it was an incredibly comfortable and fun place to crash at the end of a jam-packed schedule. With easy access to popular sites like Venice Beach, Abbot Kinney Boulevard, Santa Monica Beach, and Marina del Rey, the colorful rooms, and the fun amenities, it's safe to say I fell in love with the place pretty quickly. Scroll below to see more about this hotel!